Nokia 3 is the most budgeted smartphone of HMD Global, which was launched along with Nokia 5 at MWC 2017 on Sunday. HMD Global declared the official accessibility of these smartphones in second quarter of 2017. Nokia 6 too will be in the league. 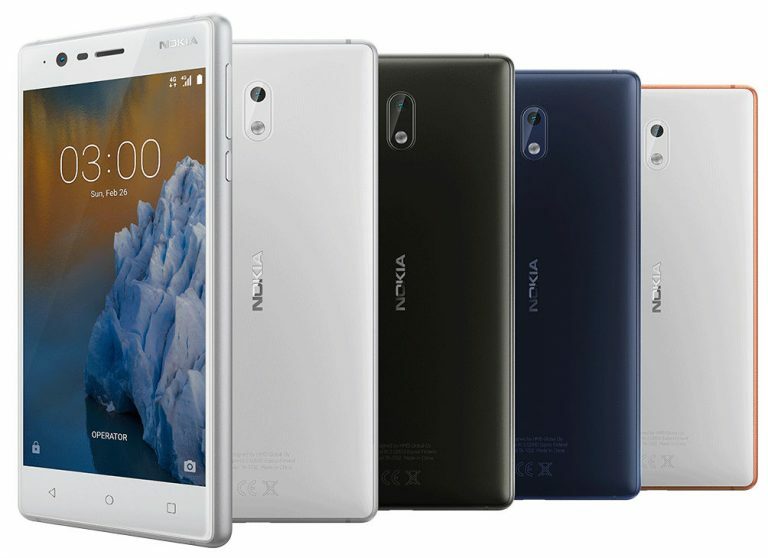 Nokia 3 is the most inexpensive of all three Android smartphones by the company, and is priced at EUR 139 (approximately Rs. 9800). Let us know the features and specifications of Nokia 3 in detail before you set your mind on buying it. Nokia 3 comes with aluminium frame and a polycarbonate shell and Gorilla Glass on top, to give a superior finish. The operating system it runs on is Android 7.0 Nougat out of the box. Company has promised of regular updates for all its smartphones. The colour variants it will be available in are Matte Black, Copper White, Silver White and Tempered Blue. The phone has 5 inch display with HD resolution of 1280×720 pixels. The Nokia 3 runs on MediaTek quad-core 1.3GHz processor and is powered by 2650 mAh battery. The smartphone is packed with 3GB of RAM and 16 GB internal storage, which can expanded via microSD card. It sports 8 megapixels primary camera as well as the same megapixels secondary camera. It has a fingerprint scanner too. Other connectivity options include: LTE Cat 4, along with GSM: 850/900/1800/1900, WCDMA: Band 1, 2, 5, 8, LTE: Band 1, 3, 5, 7, 8, 20, 28, 38, 40. It has a 3.5 mm headphone jack, micro USB (USB 2.0) port and supports USB OTG. Bluetooth, Wi-Fi options are available. Apart from the fingerprint sensor, other sensors include Accelerometer (G-sensor), ambient light sensor, e-compass, fingerprint sensor, gyroscope, proximity sensor, NFC for sharing. The smartphone measures 143.4 x 71.4 x 8.48 mm.